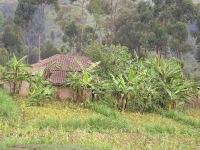 Rwanda is certainly a nature lover's paradise, and its focus is mainly ecotourism. It is an incredible country with a rich history and a scenery and wildlife unlike any other. Home to the world's largest population of mountain gorillas within the Volcanoes National Park, Rwanda's gorillas are certainly the country's most popular tourist attraction. Gorilla tracking is very much on every visitor's to-do list. Nyungwe Forest National Park is home to a large number of smaller primates, as well as more than 275 bird species, while Akagera National Park is big game country where herds of elephants and buffalo, lions, hippos and plains animals inhabit the archetypal African savannah landscape set among a web of swamps and lakes. 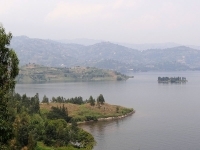 The waters of Lake Kivu are enclosed by green terraced hills that give way to beaches, inlets and the resort towns of Gisenyi, Kibuye and Cyangugu, which also make for popular tourist sites. 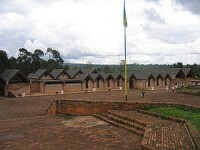 For those looking to delve into Rwanda's sobering history, a trip to the Kigali Genocide Memorial Centre will enlighten visitors, and leave them in awe of a nation that has come far in its efforts to become the peaceful and beautiful country it is today.